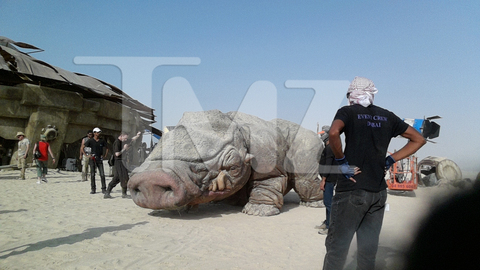 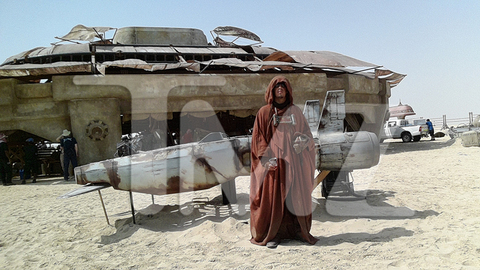 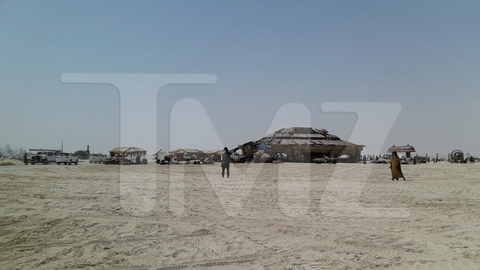 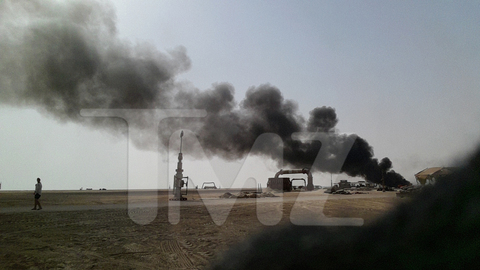 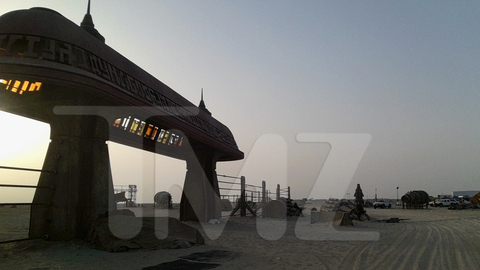 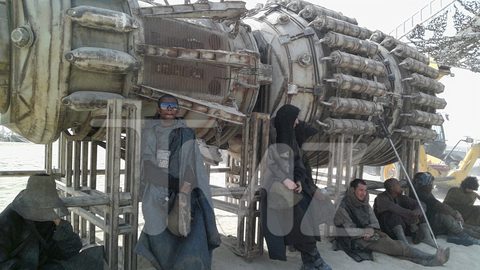 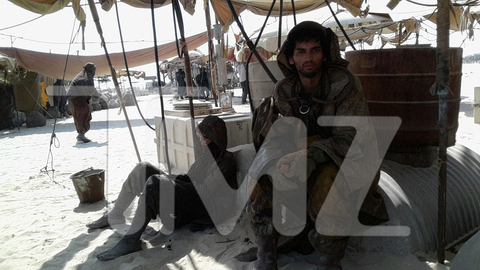 TMZ has shared a series of leaked photos from the filming of Star Wars: Episode VII that show real sets and a giant new alien creature. 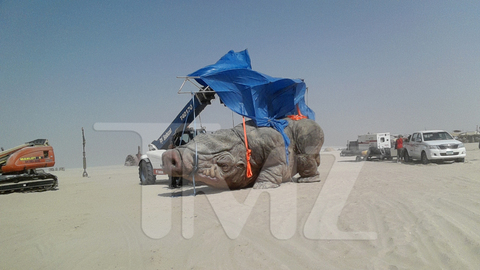 According to TMZ, their Jedi sources told them that “the new alien is manned by 5 men inside its belly” and that producers are trying to use less CG in the new Star Wars films. 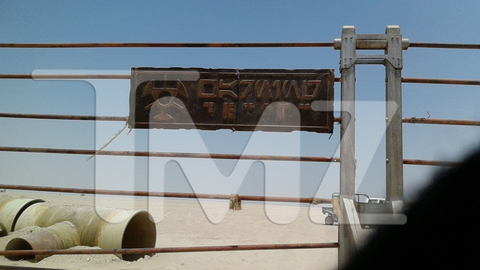 You can view all 45 leaked photos online at TMZ’s website.